← Farewell, Google Reader; Hello…who? It’s barely spring, but it’s still chilly around here. And I know that a lot of you are still having snow, so it’s not too late for a little warmth. This is Starwood, a cowl and cuff set. They’re knit in the round using a simple slip stitch pattern to create a colorful tweedy look. It only looks complicated; just one color is used per round. The pattern is easily adjusted for length and width. I knit this set with Knit Picks City Tweed DK, a blend of 55% Merino wool, 25% Superfine alpaca, 20% Donegal tweed. It’s not too heavy, but it has a wonderful drape. Just warm enough for early spring! This pattern is available now, and will also be available through the Knit Picks IDP (Independent Design Program). See the pattern page for details. And! Knit Picks is having a 40% off sale on selected colors of all their alpaca yarns, including City Tweed DK, through Wednesday, March 27. Pick three colors and cast on! 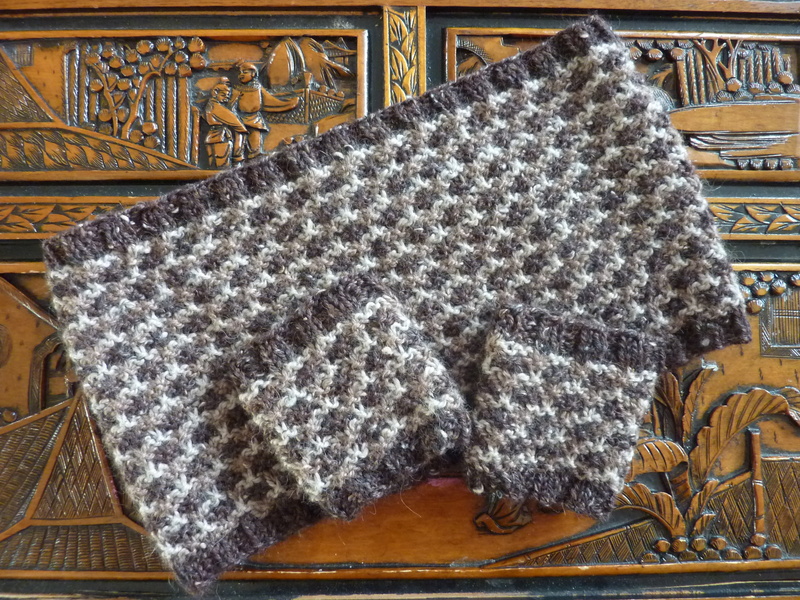 This entry was posted in Knit, pattern design and tagged alpaca, starwood cowl. Bookmark the permalink. Thank you! I was waiting for KnitPicks to post it to their IDP set, but they’re having some technical issues after an upgrade. It’s been done for at least a month; I didn’t even think to just post it for sale until Stacey mentioned that as a possibility for all of us who are stuck in the queue. D’oh! I think the pattern is so cute and my son said the model is so cute!